Babies born prematurely - meaning before the 37th week of development - are at risk from a range of problems. One that is particularly common involves the blood vessels in the eye and, if left untreated, can lead to irreversible blindness. Now, writing in Nature Cell Biology, a team at Cincinnati Children's Hospital Medical Center, led by Richard Lang, have identified light-responsive pathways that control how blood vessels in the eye develop. Our eyes see using a layer of light-sensitive cells attached to the back of the eye called the retina. In some premature babies, the retina becomes damaged and can pull away from the back of the eye, meaning vision is affected or even lost entirely. This is known as retinal detachment. It happens in premature babies because their blood vessels sometimes stop developing before they should. Normally, the change in oxygen levels a baby experiences when it moves from the womb to the air sends a signal to the blood vessels to stop growing. In most babies this isn’t a problem, but if a baby is premature, the eye vessels have not had suffient time to mature and are not supposed to stop growing yet. This means the retina doesn’t get enough blood. Lang’s lab have been looking at how light affects development, including in the eye. “We showed that the major feature of the eye that was modified if it didn’t get sufficient light during development was development of the blood vessels,” says Lang. The team have found that a group of proteins activated by light, called opsins, which are similar to the chemicals used in by the rods and cones that enable us to see, play a role in helping to control the growth of blood vessels in the retina. When the activity of these opsins is blocked in mice, the animals develop retinal blood vessel problems that are very similar to those seen in premature children. "We now know that there are two different opsins involved in regulating blood vessel development in the eye. What’s really interesting about those two opsin pathways is that they have different effects on blood vessel development: they have opposing actions,” explains Lang. Not only that, but these two light-reactive proteins are activated by different colours, or wavelengths, of light. One protein, melanopsin, responds to blue light, while the other, called opsin 5, responds to violet light. These two colours of light could therefore be used therapeutically to help correct the abnormal development of blood vessels in a premature baby’s eyes. 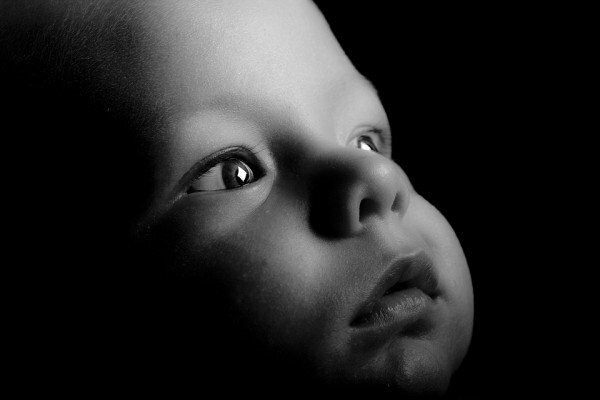 Around 20% of premature babies are affected by retinal problems. There are treatments for detached retinas, but, because they are complicated procedures on the eye, there is the risk that the treatments themselves will further damage vision.